There is an air of optimism in Washington, D.C. these days with our new President in place. For me some of it comes from feeling that there is a new will in the US to find clean energy solutions. Not many of us think about the importance of these energy solutions to the birds we watch on our local ponds and rivers. That is why NRDC has designated the Peace-Athabasca Delta in Canada as a BioGem - placing it among North America's most endangered landscapes. Up in northern Alberta's Boreal forest, you would think that the Peace-Athabasca Delta would be too far from our daily lives for us to have an impact. But America is facing a choice about whether we want our cars to run on gasoline that is strip mined from the Boreal forest or whether we commit to clean transportation solutions. 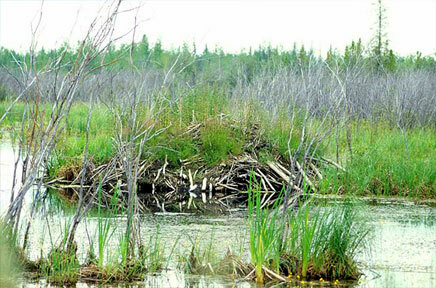 Even within the vast bird nursery of Canada's Boreal forest, the Peace-Athabasca Delta is one of the world's most important nesting grounds for migratory birds. The Edmonton Journal called the delta one of the "crown jewels" of Boreal Canada in an article today. But the birds and their wetland rest stops are downstream from the world's largest industrial project---Alberta's tar sands mines. As the dirty oil industry grows, it is already having devastating impacts on the delta. More than 1 million birds, including tundra swans, snow geese and countless ducks nest in the delta. For many waterfowl, this area is the only nesting ground. The delta and the bird populations are also of critical importance to local Aboriginal communities. But Canada is ramping up tar sands oil extraction in the Boreal forest just south of the delta, which could contaminate and reduce water flow into the delta, kill fish and disturb habitat. Tar sands oil development also contributes to global warming, which has reduced ecologically important flooding in the delta. President Obama makes his first foreign trip to Canada on February 19. Environment will likely be part of the discussion. President Obama's clean energy vision clearly points towards innovative solutions for America and the rest of the world. Yet instead of embracing this new vision, Canada is struggling to validate expanding the development of a dirty fuel such as tar sands oil. The way in which tar sands oil development is harming the Peace-Athabasca Delta, the birds that nest there, and the people that live there is one of many real world stories that show how important it is for us make the choice for clean energy - starting now.